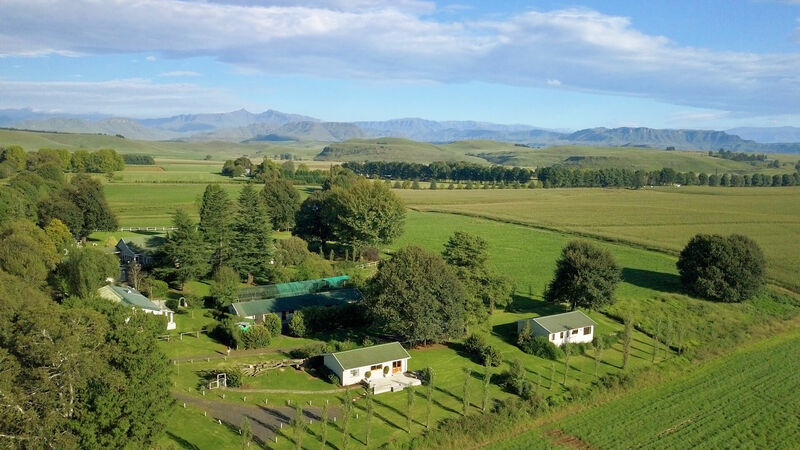 KarMichael Farm is situated on a 35 Ha working farm just outside the Village of Himeville. 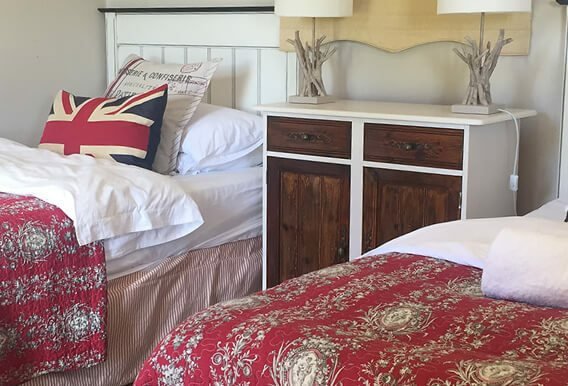 Accommodation consists of 4 Self Catering Cottages and 4 Bed ‘n Breakfast rooms. In total we can sleep 22 people depending on sleeping arrangements. 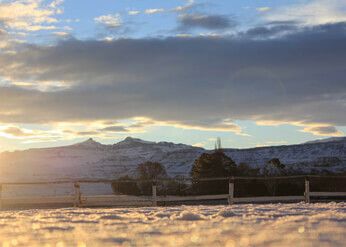 The Farm has superb views into Lesotho with Hodgson’s Peaks very prominent on clear days. The turn off to Sani Pass is just over 1 Km away. 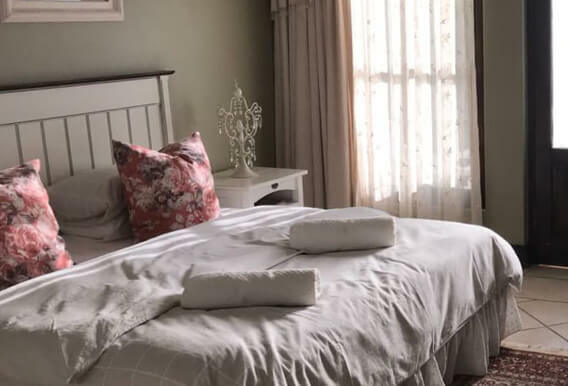 For those looking for a peaceful place to spend a few days or just a comfortable overnight stop KarMichael Farm should be one of your first considerations. The property also has 2 fresh water dams that can be fished. At present there are only bass in the dams, and its a strictly catch and release policy. 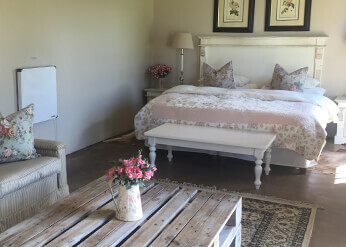 Originally a chicken shed, Rose Cottage has been transformed into a comfortable 2 bedroom self catering cottage. It has an open plan lounge, dining room and fully fitted kitchen. The kitchen looks over the pastures and across the dam to the mountains. If you up early you will see the sun rising from the kitchen window. 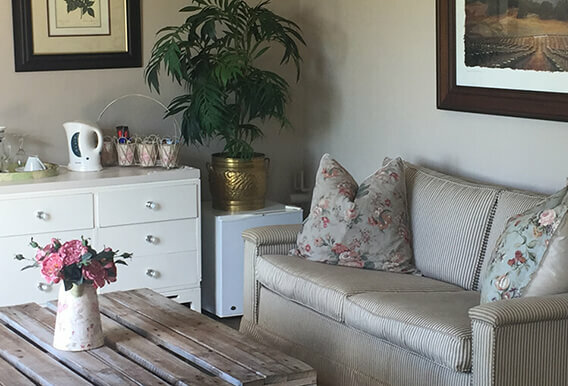 Fisherman’s Cottage has 3 bedrooms, a comfy lounge and open plan kitchen and dinning area. It has its own private parking area. Outside the front door is a patio and braai area that overlooks the pastures and dam with extended views too the mountains as well. Originally part of 6 stables, we have turned 3 of them into a quaint unit. 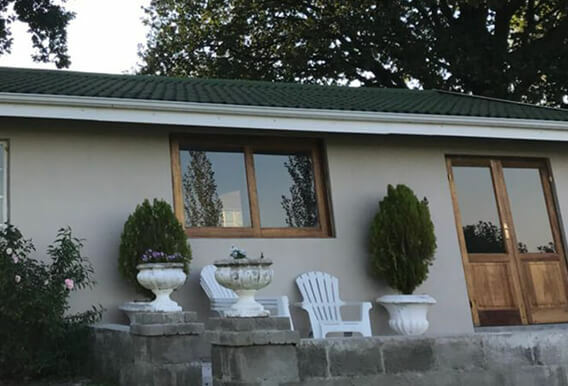 The stables are situated at the entrance of the farm overlooking the fields with a beautiful view of the mountains into Lesotho as well as Sani Pass. Oak Cottage is a smaller unit fronted by a passageway that leads to the bedrooms, kitchen and bathroom. Outside there is a small garden area with table and chairs set out under the trees. 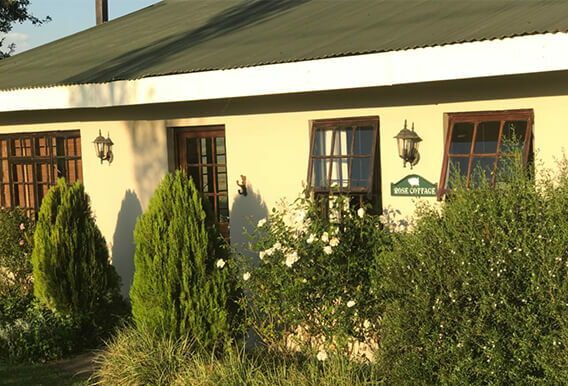 Livingstone is one of 4 tastefully decorated and spacious, Bed & Breakfast rooms. It was originally part of the stables. 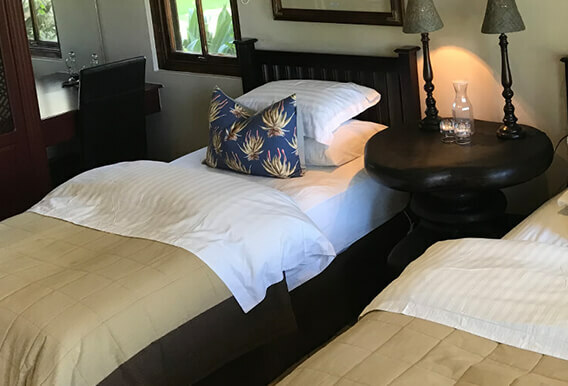 Livingstone has been converted into a luxury room. 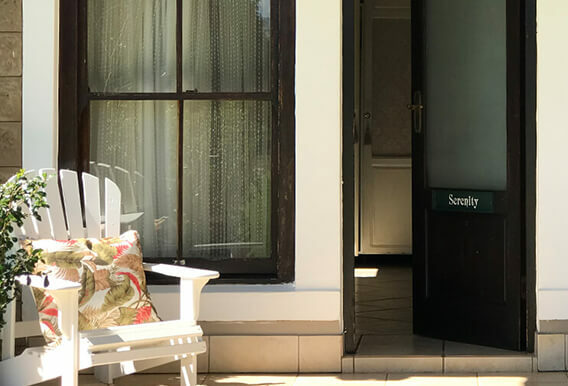 Serenity is one of 4 tastefully decorated and spacious, Bed & Breakfast rooms. It is next door to Tranquility It has its own private entrance and nice views across the front lawn towards the berg. Tranquility is one of 4 tastefully decorated and spacious, Bed & Breakfast rooms. It is between Serenity and Augusta. It has its own private entrance and nice views across the front lawn towards the berg. Augusta is one of 4 tastefully decorated and spacious, Bed & Breakfast rooms. 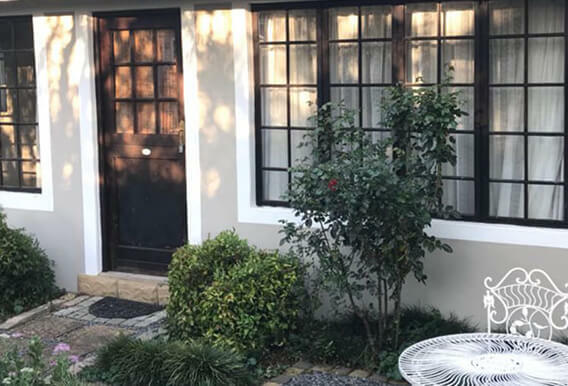 It is next door to Tranquility and has its own private entrance and has open views across the front lawn towards the berg. My friends and I stayed at KarMichael for two nights and what a pleasure. The service was great, friendly and welcoming. The rooms are spotlessly clean and very comfortable. A fantastic end to our active days of hiking the mountains. A good starting point to visit the Sani Pass. In addition, a very nice well-kept area. I would book again anytime. 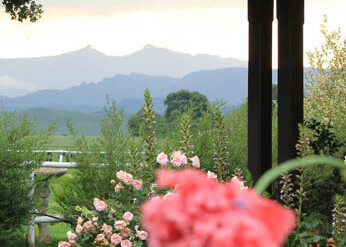 KarMichael Farm was an unexpected gem that we highly recommend and look forward to visiting again!